The Cat Mate C20 serves 1 or 2 fresh meals reliably over a 48 hour time period so ideal for short weekends or days you need to work late. 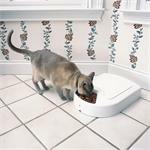 This handy 5-Meal Pet Feeder gives you the freedom to leave your pet at home without worrying about him missing a meal or snack. 5 One-cup portions are set by you for predetermined times. 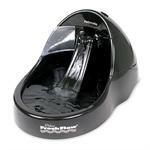 Fresh Flow Pet Fountain 108 oz. Dogs love naturally cool flowing water; the Fresh Flow Pet Fountain aerates the water naturally cooling it, encouraging your pet to drink more water. Drinking more water leads to better health by reducing the risk for urinary diseases. 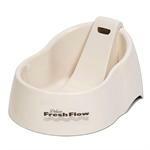 Fresh Flow Pet Fountain 50 oz. 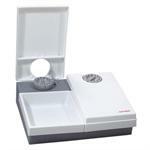 Cats and dogs love naturally cool flowing water, the Fresh Flow Pet Fountain aerates the water naturally cooling it, encouraging your pet to drink more water. Drinking more water leads to better health by reducing the risk for urinary diseases.